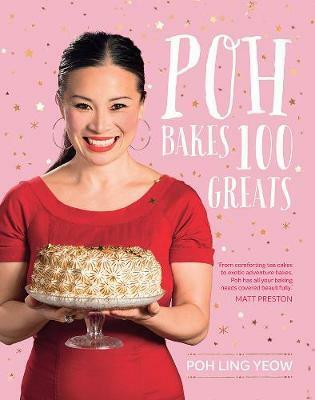 Poh first fell in love with food by learning to bake as a nine year old - she remembers vividly her mum showing her the art of folding flour into her first sponge cake ‘just like so’ and the skill in lining a tin meticulously. Now, years after Poh’s meteoric rise to fame through MasterChef, and hosting her own television shows, Poh’s Kitchen and Poh & Co, she returns to her roots, with wooden spoon and mixing bowl in hand. Poh owns and runs Adelaide destination cafe and bakery Jamface, with her bestie, Sarah. She describes the Jamface baking philosophy as the love child between a Parisian patisserie and the Country Women’s Association. Here, she shares recipes for 100 of her favourite baked delights.